At about 3:05 into the video, in the background is Hayley singing a song that apparently didn't end up on any album. I swear I've heard this piece before, loved it, and want to have it. I'm trying to listen to the lyrics so I can google them but I can't seem to catch what exactly she's singing! Is this song familiar to anyone else? If not can someone help me find the title or composer? I'd like to welcome you to the forum! I've taken a look at the link that you provided to the video. Somehow I knew the piece you were referring to. I played it several times...the song continues in the background and comes back about ten seconds later. I'm afraid that I can't help you. I also have been wondering what the name of the piece is. I'm quite certain it wasn't from her appearance on the Russell Watson DVD. I'm sure someone here can better assist you! Thanks again for becoming a member here, Bella ! Hello Bella and welcome to the Forum! I don't recognise the song either, but I wonder if it might be something from her very first album 'Walking in the Air'. Perhaps Belinda might know, because she has a copy of that album! 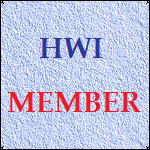 Welcome to the 'HWI' Forum Bella. I hope you enjoy meeting some loyal Hayley fans here! I look forward to reading your future posts. It was great to view some of those videos again! huh? Welcome - and thanks for an "interesting" question! May be from WITA - I'll check! But it's not a track the name which immediately springs to mind. Hello Bella and welcome to the forum. Congratulations for stumping us all straight away! I have played that video (both versions) several times and I can't yet identify the song. Contrary to what has been suggested, I don't think it is from Walking In The Air and it looks as though it is something that Hayley has never recorded. I'm sure I will not be the only one to think on. If we can suggest anything, we will be back. I've scanned WITA, MGTY and HW (no point in going further forward as she hadn't yet arrived at that point ) . It is not on any of them, no, not one and nothing even close. It *may* be a song she performed with Russell Watson at Carnegie Hall (HWI have two available from that show), but I'm now 99.9% certain this is an unrecorded song. Sounds as if it was double-tracked as at that time she not yet duetted with her younger sister, Sophie, but whatever it is, it certainly appears to have got us all stumped. Please can you satisfy our curiosity here Belinda? Which song is this mystery one? Sorry- here's the link you'll need to select to "Name That Tune"!!! I also had a listen to the clearer audio but was unable to put a name on the song. Earlier today my wife & I both listened but with no daylight. One of my first reactions was Panis Angelicus but on re-listening rejected it. Hayley's Pie Jesu is Andrew Lloyd Webber's version of Pie Jesu. My best guess is that this song was recorded for Pure and just wasn't put on there for whatever reason. It is definitely not Mozart's Requiem. If I could only understand a few of the lyrics it would make it easier to search, but no luck on that either. Sorry i don't know what the song is . or it may have been on the first Pure remember Hayley recorded Pure twice first i think in Ireland. anyone here that can ask Hayley personally? Without her listening to it herself I doubt if Hayley remembers sufficiently to know although she might recognise it re-hearing it. Should she be be bothered though? I'm inclined to think not. Perhaps if someone can select it on their Ipod or what ever and have it with them at Cadogan Hall... and she has time..?